Decades of extreme unrest can lead to a breakdown in the forces that protect antiquities from theft and trafficking. NOTE: Be careful to not confuse the ancient Khmer Empire/Culture with the revolutionary group The Khmer Rouge in this article. 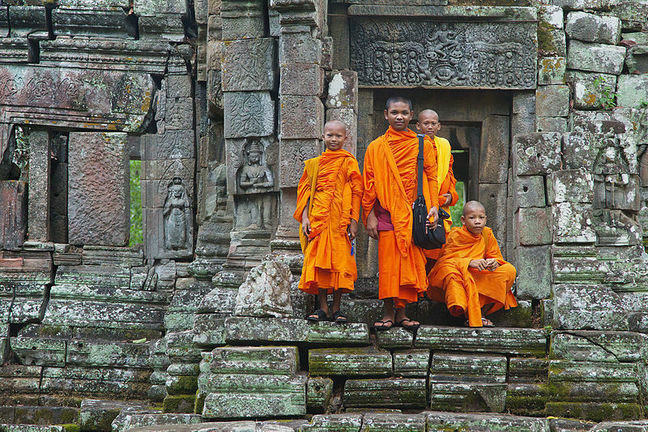 Cambodia is a Southeast Asian country that borders Thailand, Vietnam, and Laos. It was the seat of the Khmer Empire (802–1431 AD), which exerted strong political, social, and cultural control over the region. The Hindu Khmer kings built vast temple complexes as testaments to their wealth and artistic skill. Considered some of the most beautiful architectural marvels of the world, these temples were decorated with numerous statues depicting Hindu gods and goddesses and, later, depictions of the Buddha. 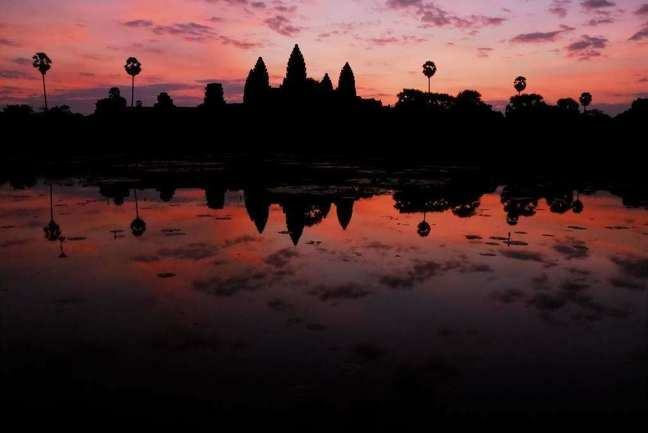 The famous UNESCO World Heritage site of Angkor Wat is the prime example of this flowering of Khmer culture. Following the decline of Khmer power due to continued conflict, agricultural collapse, and the rise of more powerful neighbours in Thailand and Vietnam, Cambodia entered what can be considered a cultural ‘Dark Age’. Slowly the jungle grew back, covering many of Cambodia’s temple sites. Hundreds of years of political weakness made Cambodia particularly susceptible to annexation and colonisation, first from Thailand and then from France. From 1867 to 1953, Cambodia was a protectorate of France, becoming part of French Indochina in 1887. This allowed France to control Cambodia’s royal succession, infrastructure, finances, and legal development. In 1975, after years of complicated power struggles on shifting political sands exacerbated by the Vietnam War, the Khmer Rouge gained power over Cambodia. Led by Pol Pot, Khmer Rouge control represented the start of years of conflict, starvation, and genocide for Cambodia. The country was both heavily militarized and in complete social and political chaos, resulting in a total break down of heritage security and protection. 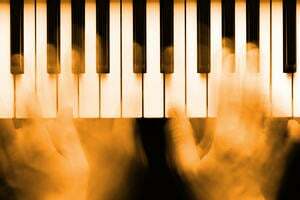 Both participation in intellectual pursuits and in religious practices were offenses that resulted in execution under the Khmer Rouge. 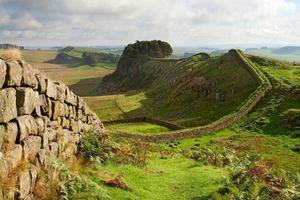 Consequently ancient religious sites were not protected. Although the Khmer Rouge were more or less removed from central power in 1979, they continued to control the area near the Thailand border for another decade. This area has a particularly strong concentration of ancient temple sites, many of which can be considered to have been under Khmer Rouge control until the mid to late 1990s. In 1998, Pol Pot died while awaiting trial for the genocide of almost one million Cambodians, and by the end of 1999, all surviving Khmer Rouge leaders had surrendered to the Cambodian government. Since then, Cambodia has worked hard to rebuild its society, seemingly from the ground up. Because ancient heritage is so closely linked to the strengthening of modern identity, and because archaeological sites attract lucrative foreign tourism, heritage preservation is a key component of the Cambodian government’s plans for the present and the future. Cambodia has overcome a number of heritage preservation issues: for example the removal of landmines from ancient temple sites. 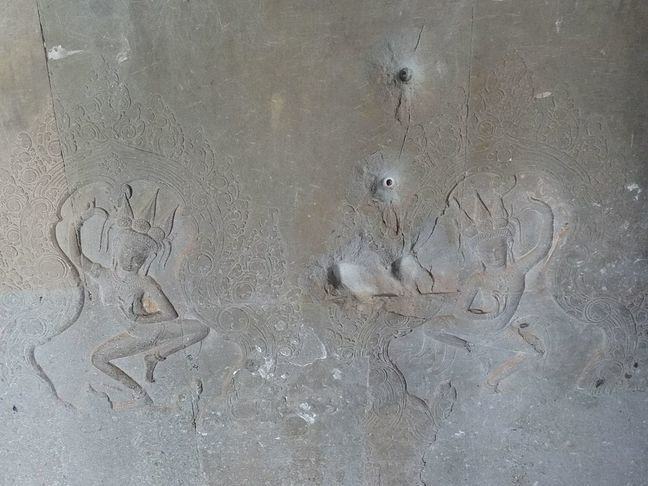 Indeed, one enduring legacy of the Khmer Rouge is a heart-breaking loss of ancient art. From the 1970s through the 1990s, the beautiful statues which once decorated majestic temple sites throughout the country were stolen, smuggled, and sold by and to people who explicitly exploited Cambodia’s tragedy for their own gain. Prof Simon Mackenzie and Tess Davis J.D. have identified two smuggling pathways starting from the jungle sites of Cambodia and ending in the galleries of the world’s top museums. The first they call the “organized crime channel”, the second the “conflict channel”. From the 1970s into the 2000s, antiquities smuggling on this pathway was tied to an organized group of local gangsters and trans-border smugglers. Mackenzie and Davis found that although these criminals thrived in the insecurity caused by years of guerrilla fighting in the region, they were only sometimes associated with the Khmer Rouge. This smuggling pathway saw local middlemen organizing the looting of various temple sites. 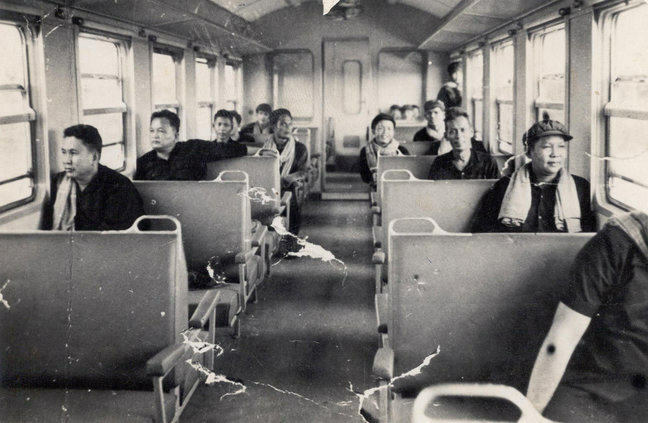 The looters, who were also often locals, were either paid to conduct this work or forced to out of fear for their lives. At times, both. The local middlemen would then organize the transport of stolen statues to the town of Sisophon. At Sisophon, the statues would be delivered to one of two organized criminals who bought the antiquities from the various regional brokers, collected them together, and facilitated their transport to the Thai border. The statues would be smuggled across the Thai border, often with the help of corrupt Thai military personnel, and delivered to a Thai ‘receiver’. 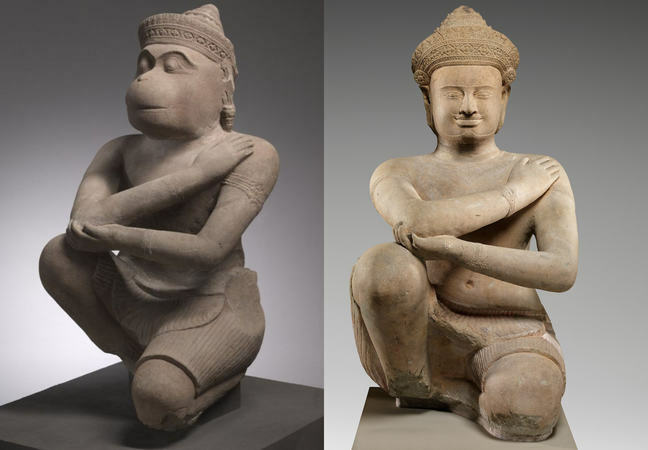 The Thai receiver would then organize the transport of the statues to the capital city of Bangkok where they were purchased by a Western dealer. The Western dealer then sold the statues to top museums and collectors around the world. Mackenzie and Davis call this Western dealer a “Janus figure”. Janus is the Roman god of both endings and beginnings, after whom the month of January is named. He has two faces, one that can see the past, the other the future. 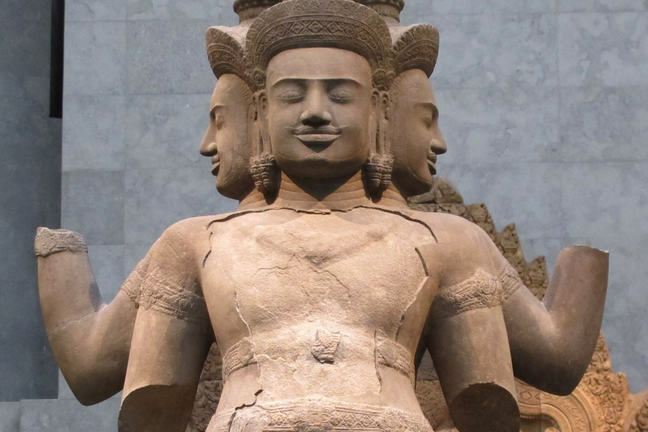 This Western dealer, like Janus, was able to see ‘the past’ of the Cambodia statues, namely the looting and organised crime involved in their smuggling. He was also able to see ‘the future’, the statues on a pedestal in a high-end foreign museum. He served as a key node, a connection point between the dirty underworld of antiquities looting and the fancy, high class world of antiquities collecting. Without such Janus figures it is likely that many antiquities trafficking networks would simply not exist. 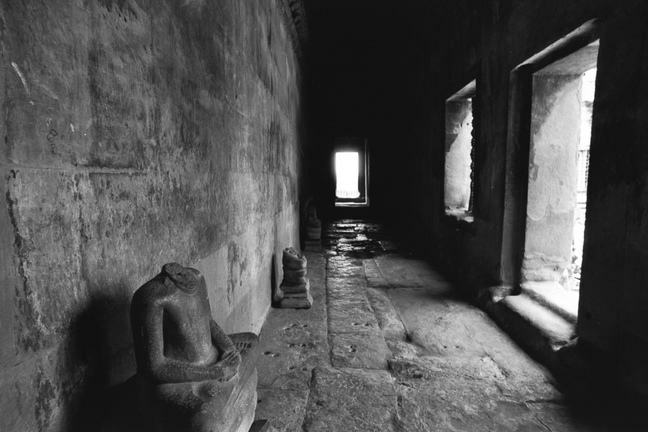 Mackenzie and Davis found that this second statue smuggling pathway was closely tied to the prolonged presence of Khmer Rouge fighters in the jungles of northwest Cambodia. Having lost control of central Cambodian power, the Khmer Rouge turned “from revolutionaries to bandits” (Davis and Mackenzie 2015), engaging in various types of smuggling and crime to finance their guerrilla activities, particularly in the 1990s. For example, a general called Ta Mok (meaning “grandfather”, though he was also called “The Butcher”) was one of the last Khmer Rouge leaders to be captured in 1999. After his arrest, the Cambodian government found 61 ancient statues in his residence near the Thai border. Initially, former Khmer Rouge fighters claimed Ta Mok had actually saved these statues from being trafficked. 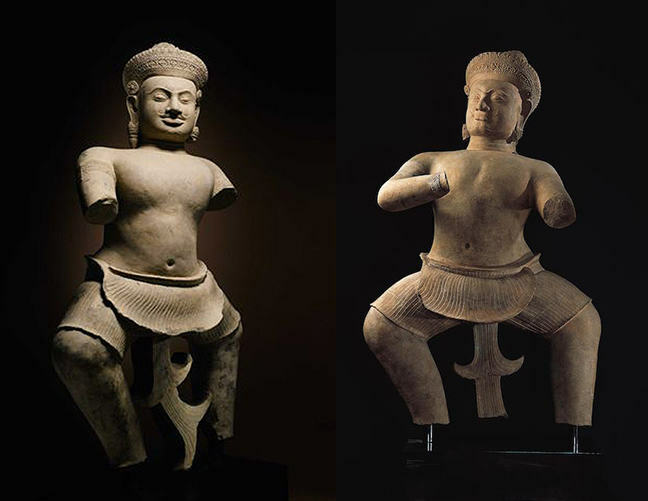 Recent interviews have revealed that Ta Mok and associates were a key part of an antiquities smuggling network, serving as ‘looters for hire’ and moving Cambodian objects onto the Thai market where they then reached the rest of the world. Although the looting of Cambodia’s beautiful archaeological sites represents yet another tragic loss for a country that has faced more than its fair share of tragic loss, the future is hopeful for the country’s heritage. In recent years Cambodia has been very successful at negotiating the return of some of the finest sculptures that were looted during the Khmer Rouge period and the ensuing decades of instability. In particular, they have been able to recover most of the beautiful statues from one particular temple: Prasat Chen at the site of Koh Ker. 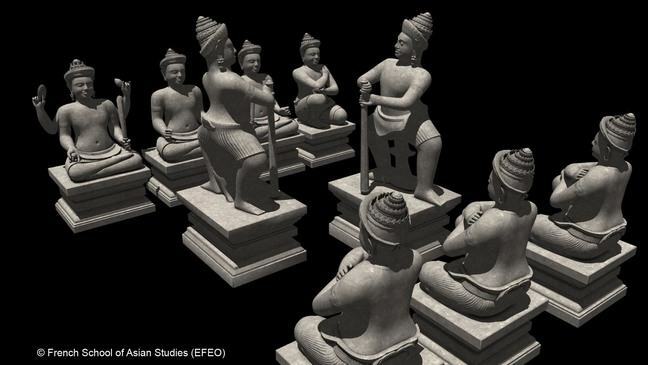 The statues in question depict an important story from the Mahabharata: the final battle between Bhima and Duryodhana as kneeling attendants watch. Another group depicted a battle from the Ramayana. During ancient Khmer times, a visitor to the Prasat Chen temple would be able to walk right into the battle scenes and, perhaps, kneel along with the attendants and imagine the epic fight. At least seven statues were stolen from this temple at some point between 1970 and 1990 and all of these ended up in the United States. In some cases the feet of the statues were left behind. That said, these statues are the best of the best, the finest in Khmer art. Cambodia is financially unable to pursue anything but the most important returns of archaeological treasures. For each return, hundreds, if not thousands of looted Cambodian ‘blood antiquities’ remain in museums, in collections, and on the market. There is little hope that they will ever come home. We are making a peaceful appeal to museums and private collectors who still own Cambodian antiquities that they believe were looted to return them to Cambodia voluntarily, with honour. It’s better than going to court.